Electronic books hide kinesthetic signals, and this is another reason why so many students were disappointed by the eBook. When students do not create cognitive maps that they can rely on, the information retrieval process takes significantly longer, reducing mental resources for other tasks. Also, there is a decrease in the desired level of productivity. Of course, you can provide eBooks with tools such as scroll and progress bars that can help in creating a cognitive map, but it is unlikely that the digital book will ever be able to provide a rich and intuitive set of physical signals that the printed book gives. One of the students used kinesthetic signals such as folded corners of the page and a noticeable weight of the printed book to quickly find the necessary content. After spending some time with traditional printed books, he realized that he knew what to do to open a book on the right page. He seemed to visualize where he was in the book. His physical experience with the text changed dramatically when he started using eBook. The student lost these kinesthetic signals and spent much more time searching for information than he needed before. He stopped using the device for the books he needed for academic work, because he wanted to stay at the level of efficiency that he had had before he got eBook. Electronic books are often used when it is necessary to look for a particular fact in the book; if there is a need for compulsory reading for a deeper, more careful study of the material, preferences are given to printed publications. Printed editions are better in some situations, while eBooks are better in others. Each has its own role – eBooks are more suitable for evaluating acquaintance with the book, relatively quick search, as in the encyclopedia, or checking facts or the bibliography for correct citation, and also reading individual chapters or introducing. A paper book is better for working with text, because there is an opportunity to make your own notes. Of course, you can argue that the notes are possible in electronic books, but in this case, we are not talking about notes written by hand. Considering the topic of writing cheat sheets for the exam, one says that the text written by your hand and passed through your mind is much more durable in terms of memory than printed one. All options have a right to exist. Just six minutes of reading a day are enough to reduce the level of stress by 68%. Numerous pieces of research show that reading is an effective way to slow the aging of the brain. One study even showed that elderly people who read regularly are 2,5 times less likely to suffer from Alzheimer's disease. But not all ways to read are equally useful in the modern world. We continue our debate about the benefits of electronic and paper books. Supporters of the first emphasize practicality and convenience, the second – sentiment, availability of cognitive maps and better perception of information. Now lovers of paper literature have new arguments: scientists have proved that "real" books are better than virtual ones. And now we will talk about what has already been partially discussed, having a solid support of facts and research. People who read texts in electronic books, much less memorize the history and order of events in the text. Tactile feedback to the paper book works much better: psychologically it is much easier for a person to recall the story which he or she read on paper. The thing is that our brain for some reason remembers not the very texture, but rather its location on the page. Therefore, when the text is on a certain page, in a particular place, it is remembered better because it is easier for our brain to structure the information. 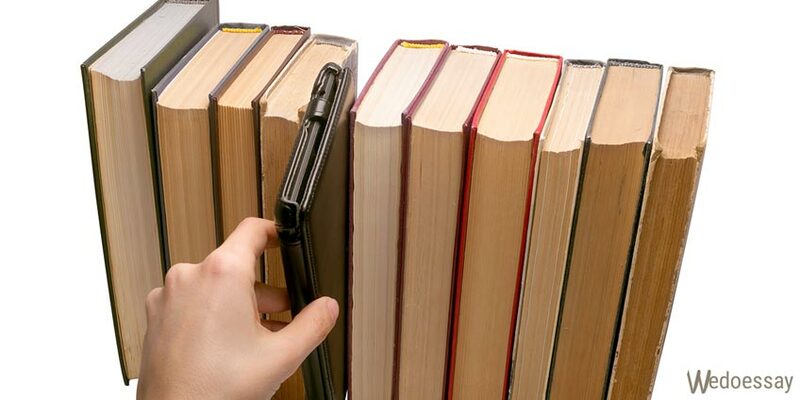 You are more likely to read a large and weighty book in paper format rather than in electronic one. The thing is that for us, people, it is important for some reason to feel the weight of the book in hand and it is easier to follow the progress in reading if we feel it physically – in the ratio of the pages read and expected. And nothing can be done about it: all these processes take place at the subconscious level. The text on paper is also remembered better because the real book with real pages gives a flight of fantasy for our intuition and a sense of control over the situation. The inability to control the text physically – to make notes on the margins, to bend the pages, etc., restricts us and our memory. The electronic book, by the way, is even the better of two evils. It is worse if you read on a smartphone, tablet or computer. Due to the fact that there are many references in the texts, it becomes more difficult for us to focus on the continuity of the perception of the text. If this skill is not developed, we run the risk of losing it altogether. But the ability to read long texts, not succumbing to the temptation to click on the link, is a very useful skill. There is one more very important point. When people read a real book, their attention is focused on the entire length of the line, and if they do it from the screen – only on its left edge. This seriously interferes with the comprehensibility of the text. The habit of modern people to read on the screen all and always leads to problems with the perception of long texts. Studies have shown that the more people read from the screens, the harder it is to focus on long texts. Scientists advise us to read slowly, thoughtfully and not be distracted by anything. If you practice this reading 30-45 minutes a day, then the brain will learn "constructive linear" perception of information. This, in turn, helps reduce stress and increases our ability to prolonged concentration. There are also studies that prove that if people read text on printed pages, they are more empathic with the characters of the text than in those cases when they read on the iPad. Reading an old-fashioned novel helps fall asleep. When you read the text on the screen, it is hard for your brain to send the body to sleep. And if you develop a habit of reading a paper book an hour before going to sleep, it will be much easier for your brain to tune for rest. Three-quarters of Americans over 18 years old read at least one book a year. Sales of electronic variants reach 20% of the total number of books sold. Nevertheless, in a world oriented on Facebook and Twitter, the opportunity to rest from technology will give you a serious competitive advantage.